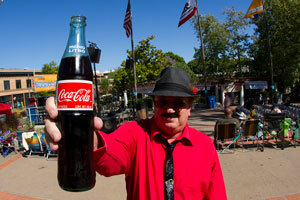 Ken Burton has been a musician on the west coast music scene for over 35 years. Kenny has shared stages with the likes of Joe Cocker, Michael McDonald, Kenny Loggins, and has performed alongside Tommy Castro, E.C. Scott, Robben Ford, Etta James, and even the legend himself, B.B. King. He has brought his skills with the Hammond B-3 organ and various synths/keyboards on dozens of CDs and recordings, and performed at hundred of clubs, festivals, and other venues. Ken brings groovilicious Hammond sounds, honky tonk piano and soaring synth lines to the Funky Flames high energy fun and sweet soul. Rick grew up in the SF Bay Area and began playing professionally at the young age of 16. He was discovered by recording artist Rodger Collins. He was adopted and schooled by many great musicians, most notably Milton Hopkins, nephew of legendary Lighting Hopkins and bandleader for B.B. King. Rick has had the privilege to share the stage with B.B. King, Etta James, Tower of Power, Lenny Williams, Ike Turner, The Whispers, Cold Blood, Rare Earth, Sly Stone, and others. Moving to the Central Coast and playing in the cream of the blues bands, his talent for funk and soul was unmistakable and became the signature heartbeat of the Funky Flames. Experience a mesmerizing history of music when Rick lays down the throbbing, hypnotic fatback funk, soul and blues grooves for the Funky Flames. Billy “BB” Baxmeyer has been a professional musician for over 40 years. 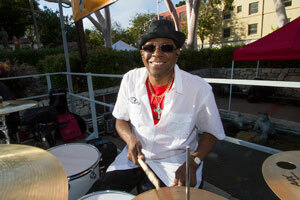 His powerful, driving bass lines provide the BIG bottom for the Funky Flames' deep funk grooves. Born in Jersey City, New Jersey, Billy first brought his love of People, Funk, and the GROOVE to Chico, CA. He was a founding member of the Spark n' Cinder Band, a world music, reggae, soul and blues collective. 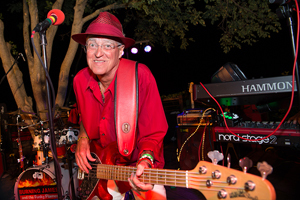 Spark's rhythm section RULED dance floors in NorCal for decades and shared the stage with legendary acts such as Taj Mahal, Sons of Champlin, Sly and Robbie, Los Lobos, Stevie Ray Vaughan, Steel Pulse, David Lindley/El-Rayo X, and Bob Dylan. Bill’s influences include George Porter, "Family Man" Barrett, James Jamerson, Ron Carter, and Bootsy Collins. Billy Baxmeyer is a match made in paradise for the Funky Flames. 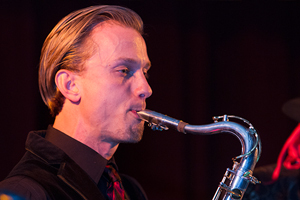 Brad Hackleman (aka ‘Bradical’) is a dynamo of tone and tenor saxophone energy and is now coming into his own as a front man vocalist. His relatively young age (27) belies his understanding of old school tenor sax tones and riffs. 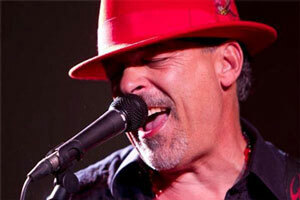 He is an accomplished vocalist as well and provides the Funky Flames with a second lead vocalist. Bradical is an up and coming star in his own right and is someone to watch out for in the future! 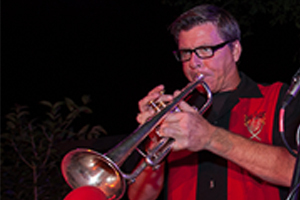 Bob holds a Masters Degree in music and five years of touring experience with Brian Setzer’s Orchestra, Bob writes the killer horn charts. Brad and Bob together are the Funky Horns. The Funky Horns seriously raise the game of any Burning James performance and put the flame in the funk. Burning James and the Funky Flames also give back to the community and as such have organized fund raising events/parties for “Mardi Gras” and Halloween that have resulted in over $6000 donated to local non-profit organizations.